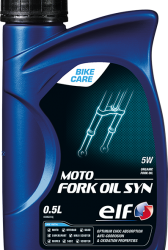 MOTO 2 RACE is a power elixir which acts as protective oil for all the vital parts of your motorcycle. A leading product with a very high-performance competition formula to reduce friction and give enhanced engine protection. To get the most power out of your motorcycle. 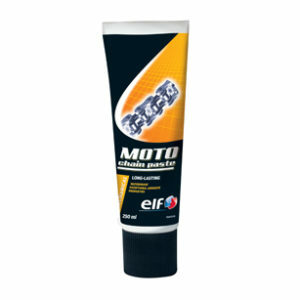 * ELF MOTO2 RACE is a lubricant that is particularly recommended for all types of 2-stroke sports scooters and mopeds. * The performance of ELF MOTO2 RACE is appropriate for demanding use in amateur motorcycle competitions, while at the same time meeting the requirements for daily use. This lubricant is not pre-diluted. The oil content must be adjusted and mixed with the fuel chosen to obtain the optimum engine combustion setting in accordance with constructors’ recommendations. 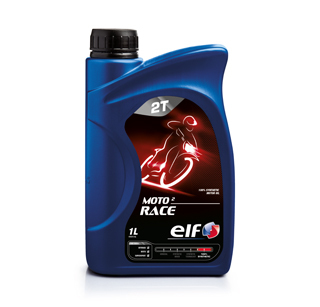 * ELF MOTO2 RACE is a high-tech 100% synthetic lubricant which provides safety and performance for top-of-the-range engines, even in extreme operating conditions. This lubricant has a 100% ESTER based formula. Its viscosity increases the resistance of the oil film to extreme variations in temperature. This product has successfully undergone severe testing in competition. 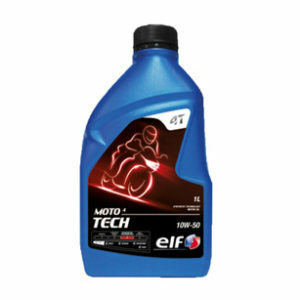 * High detergency, engine protection ELF MOTO2 RACE™s detergency additives use their hot properties to work on deposits and ensure that the distribution system is kept clean. Your engine is therefore protected even under the harshest of driving conditions. * Clean combustion: Metal particles, produced by the deterioration of the additives and fuel are the cause of deposits. ELF MOTO2 RACE burns without deposits being formed (clean combustion). * Controlled wear: Clogging of the piston top grooves limits piston ring flexibility (sticking) and results in insufficient oil supply. Friction of the piston rings against the liner tears off metal particles, causes piston scuffing until it seizes. 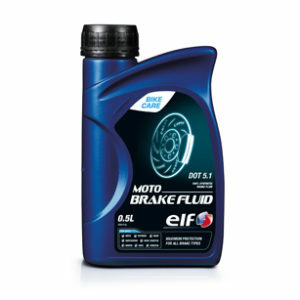 ELF MOTO2 RACE ensures that your engine is kept optimally lubricated in order to prevent this phenomenon of premature wear.